Terrace: approx 30 sqm, a table and four chairs with pillows along with a large parasol and a lawn chair offer enough space for tranquility and relaxation. 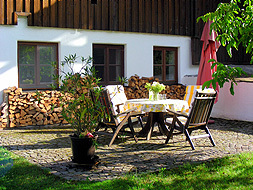 In the barn next to the apartment you will find a gas barbeque. Here you can also deposite bikes, golfbags or skis. 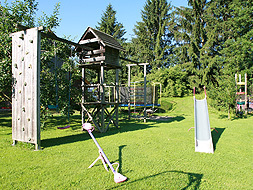 Garden: more than 2000sqm, it offers a great playground far from traffic. 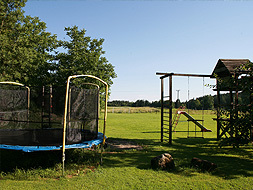 It provides a swing with a junglegym, a huge trampoline, a slide and a see-saw next to a soccer field with real goals. 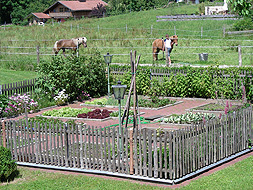 The neighboring property holds a pony stable for Iceland horses.